FL@33 was invited in summer 2017 by Italian paper company Fedrigoni to contribute two visual interpretations of two randomly allocated days of the year 2018. ___ Our two typographic illustrations now form part of the calendar and design compendium Fedrigoni 365 (2018) and all proceeds will be donated to charity. ___ The two numbers / dates we were given are 13 (September 2018) and 1 (November 2018). 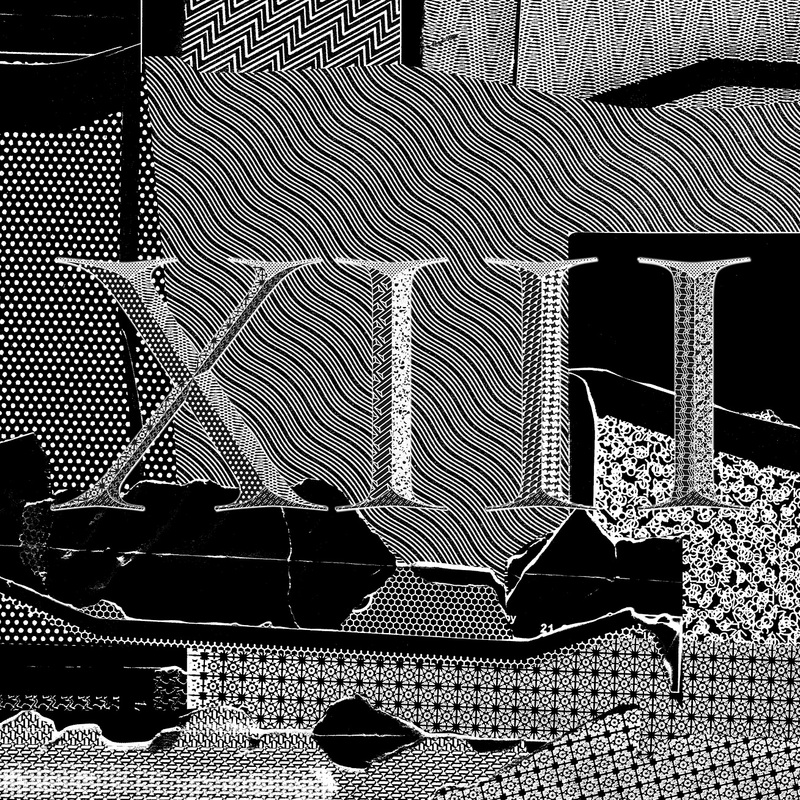 FL@33's Tomi Vollauschek experimented with the number 13 (XIII) by creating a collage using envelope patterns from his large collection. 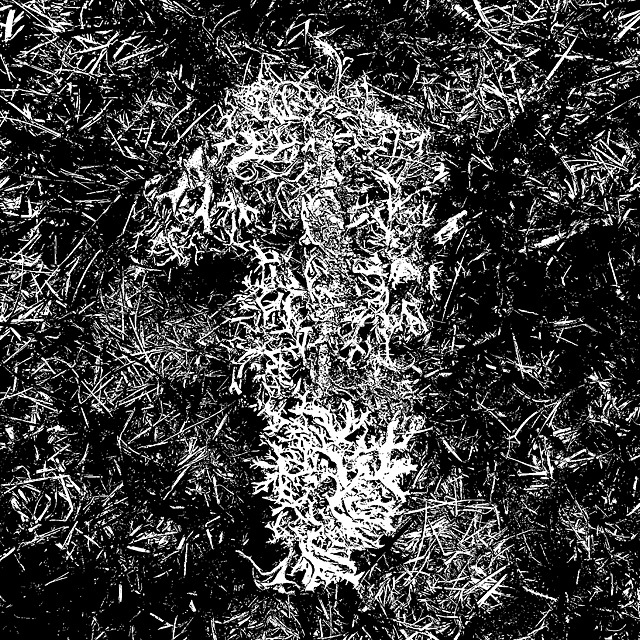 ___ FL@33's Agathe Jacquillat was in rural France at the time and took the opportunity to create a piece away from her computer. She searched nature for organic occurances of the number 1. 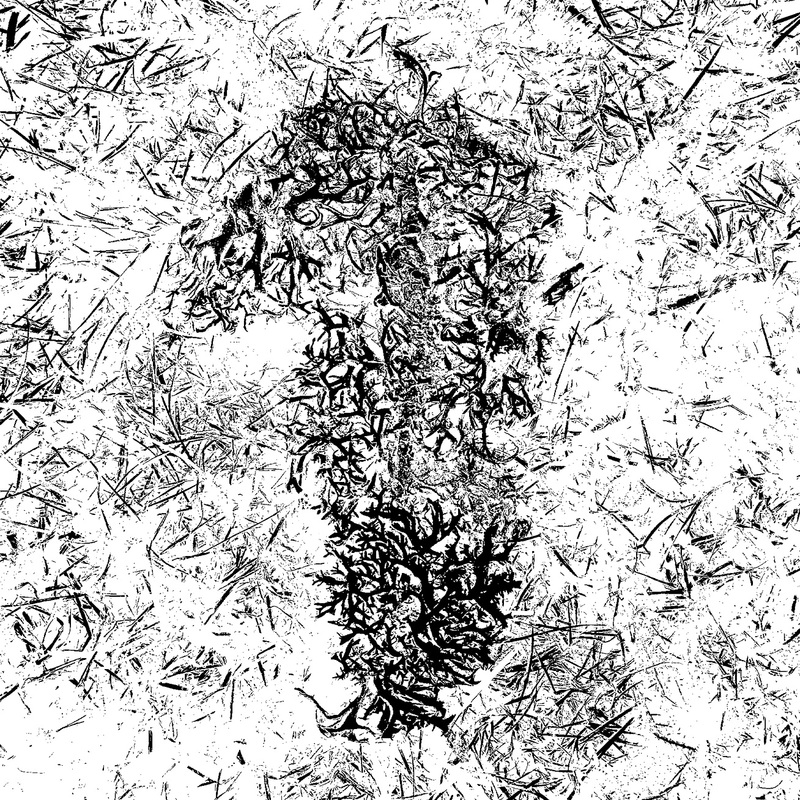 A picture of her selected number made of dried moss on lawn was selected for submission. 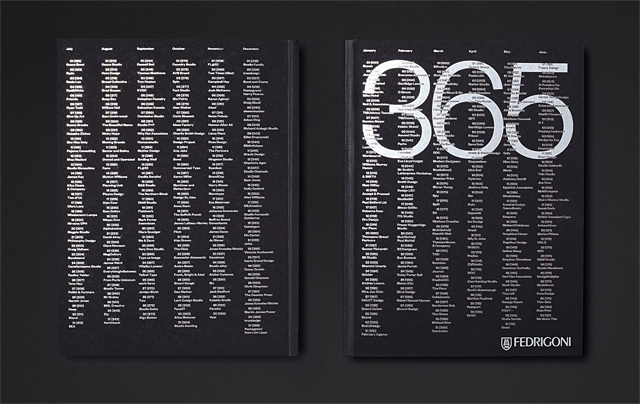 Fedrigoni 365 is a project to commemorate the year 2018 by asking leading UK-based creatives to contribute a piece of work to a design compendium, which takes the form of the Fedrigoni annual Calendar. 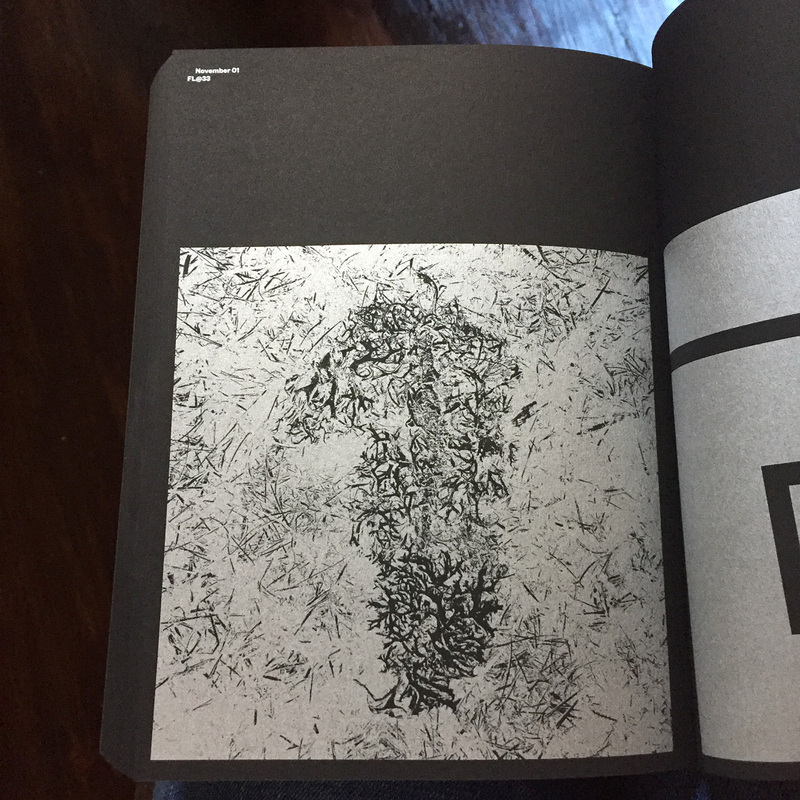 ___ The result of this process is a striking black tome that holds 365 single-colour designs within. 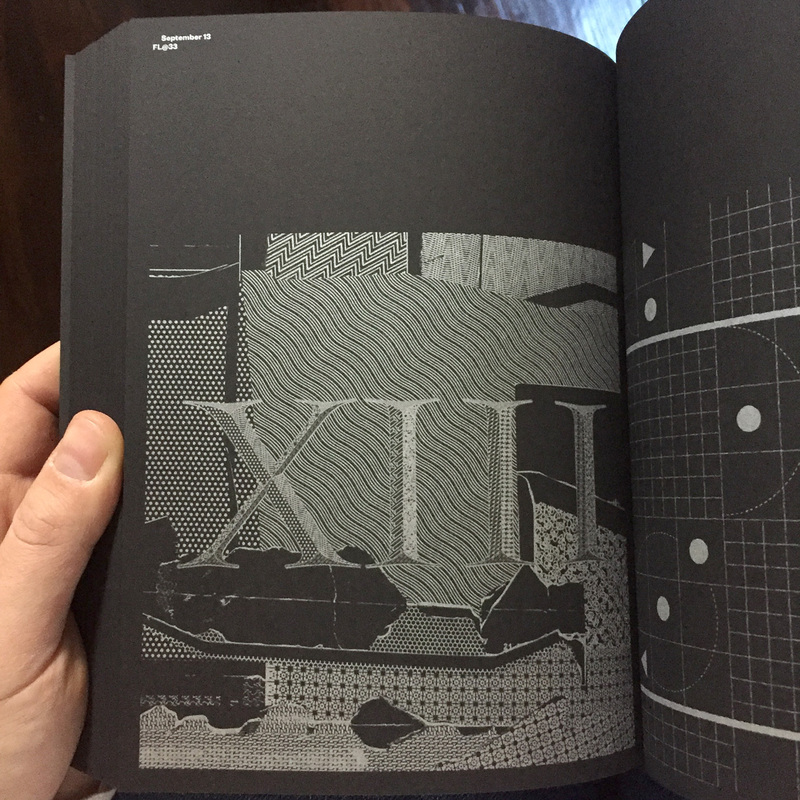 Each design was created as an interpretation of a date that was provided at random to each participant. Confines were established to challenge each designer’s creativity by restricting the book to one paper and one colour print, which forced their pieces to focus strictly on concept, shape and form. ___ The brief was created to be deliberately restrictive, although there were slight concerns that it may be too limiting and could result in designs that were much of a muchness. It turned out that these worries were unfounded. The Calendar has organically shaped into a beautiful visual story whose pace varies from page to page, and spread to spread. ___ All proceeds will be going directly to the Make-A-Wish charity. Cover boards tipped onto the front and back. 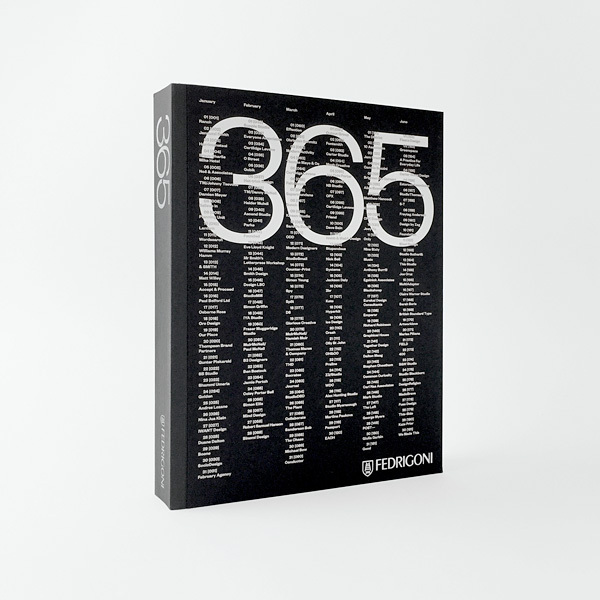 November 30th, 2018 — FL@33 contributed a photographic illustration for calendar and design compendium Fedrigoni 365 (2019). 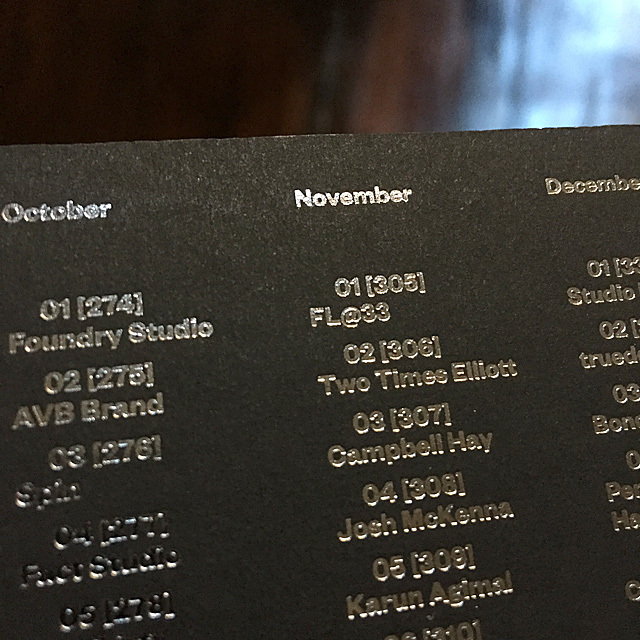 November 29th, 2018 — Launch event of calendar 2019 and design compendium Fedrigoni 365 tonight at London's Protein Gallery that also includes a FL@33 contribution. August 9th, 2018 — Work in progress: FL@33 contribution to the Fedrigoni 365 calendar and design compendium 2019. See our 2018 contributions here. 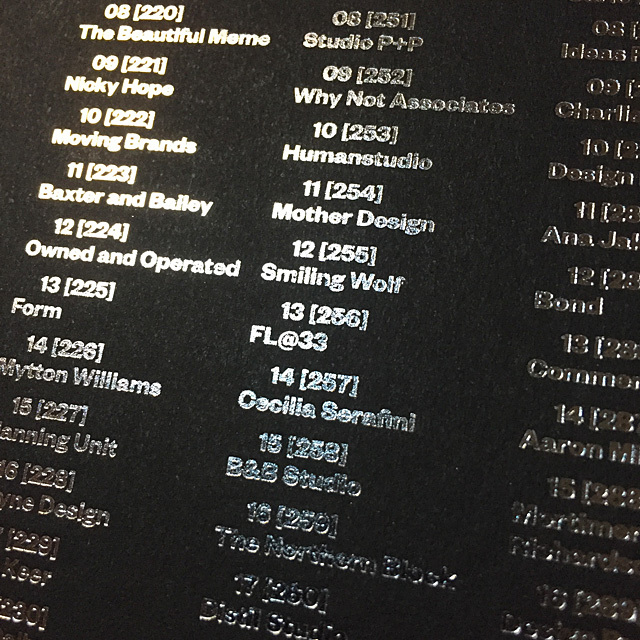 December 13th, 2017 — Launch event of calendar 2018 and design compendium Fedrigoni 365 tonight at London's Protein Gallery that also includes two FL@33 contributions. November 22nd, 2017 — FL@33 contributed two typographic illustrations for calendar and design compendium Fedrigoni 365 (2018).